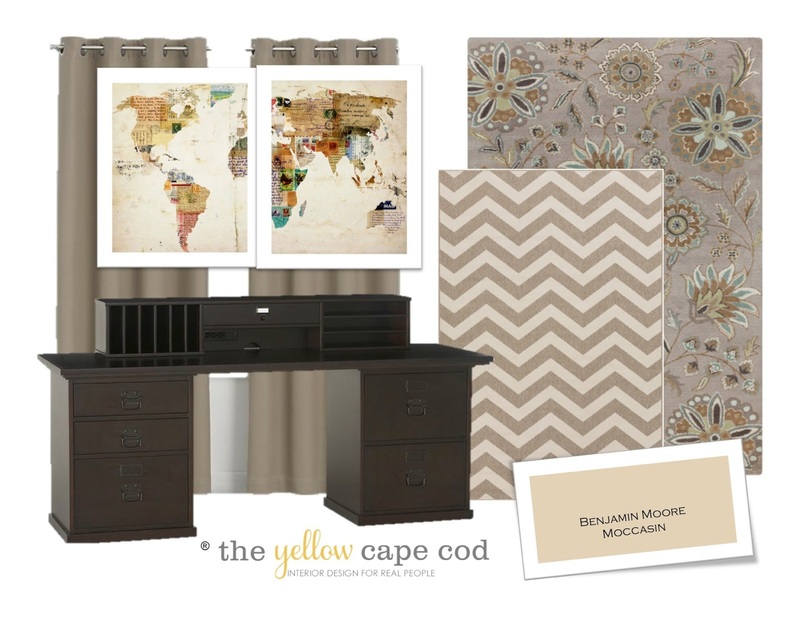 Today's featured online design plan is a for a multi-purpose, family friendly, home office. Our client came to use looking for a stylish, as well as functional design that allows both the children and the adults to work in this space together. We divided the room into two separate areas, one side is for the kids and one side is for Mom and Dad. The kids area features two desks and a gallery wall that incorporates back pack storage, homework organization and artwork display. Mom and Dad's side features a large, gorgeous desk system for two. To make the separation between the kids area and the adult area, we used two different areas rugs to define and ground each zone. 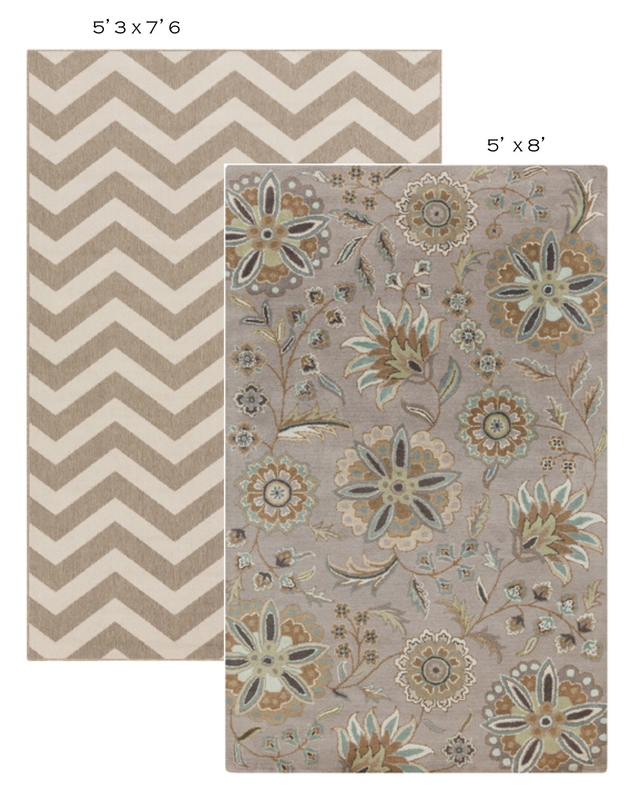 We chose a family-friendly, indoor/outdoor area rug for the kids zone. This rug is available in my shop, please click here for details. The fun bold print makes a statement in the room while the practicality of an indoor/outdoor rug makes this a great choice for a hard-working kids space. For the grown up area, we chose a sophisticated, luxurious, 100% wool rug (also available in my collection, click here for details). 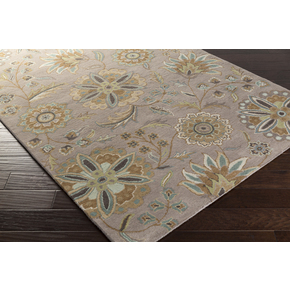 This beautiful rug brings color and pattern to the space, the contemporary floral design compliments the bold graphic design of the kids rug. Our homeowner already had two desks for the kids from Ikea. Our suggestion was that she swap out her existing white desk tops for the espresso colored tops to coordinate with the new desk system for the adults. 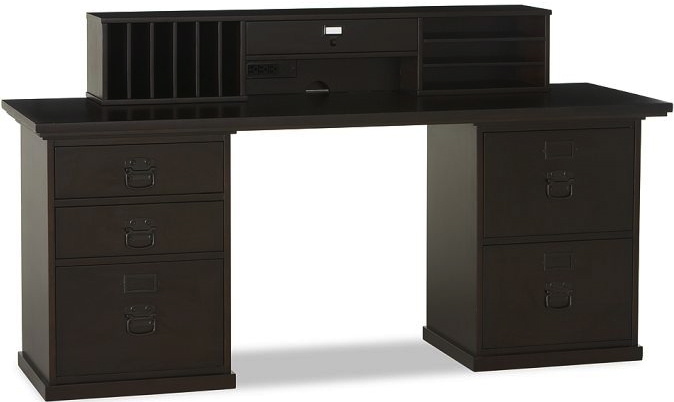 We chose this beautiful Bedford collection from Potterybarn in a rich espresso finish to create a comfortable, functional and stylish work area. Our layout includes the corner desk, small desk and bookcase). Over the parents area is a perfect spot for large scale art. 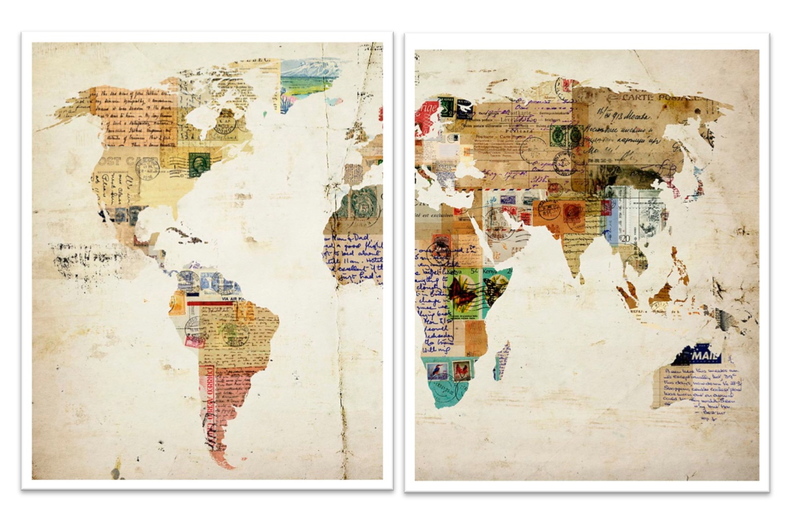 To keep in line with the family office theme, these world map canvases from Bassett Furniture were a great choice. Office spaces by nature have a lot of hard surfaces. 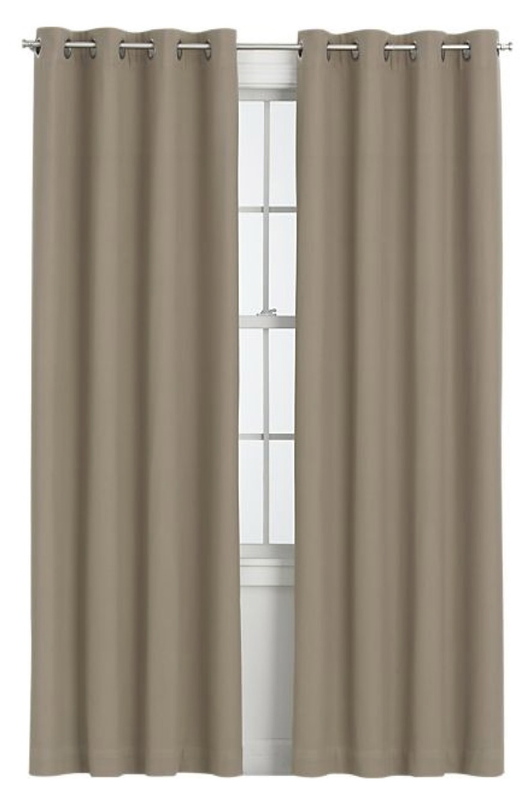 To soften the design, we introduced full length drapery in a nice, neutral color. The room already has a gorgeous neutral wall color (BM Moccasin) that looks amazing with the new design elements. This project was a lot of fun. It is a good example of how a well-planned office space can perform a lot of duties for multiple family members and look great all at the same time. 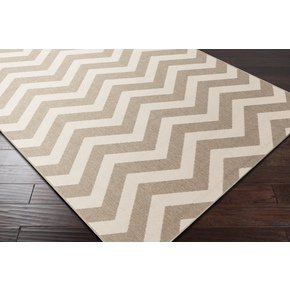 I love the chevron print rug!